As ambassadors of Chinese culture, Panda Express welcomes individuals across the nation to join the annual celebration of Chinese New Year, a holiday steeped in tradition, symbolism and cultural storytelling. Cultivating togetherness, celebration and hope for the future, the restaurant will commemorate the global holiday with a campaign devoted to sharing the rich traditions of Chinese New Year and educating guests everywhere about the unique food symbolism surrounding the holiday, which starts on Feb. 16. 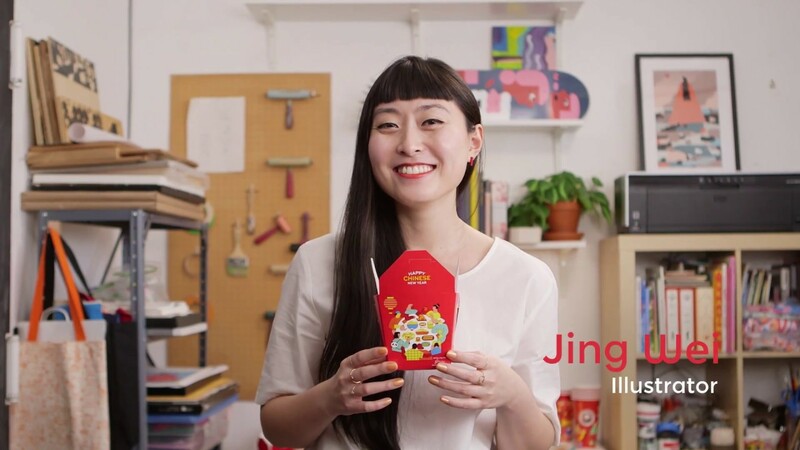 Evoking the true spirit of Chinese New Year, Panda Express brings the celebration to life in-store to its guests through its collaboration with Brooklyn-based, American Chinese artist Jing Wei. The acclaimed graphic artist has created festive new packaging, which portray the traditions of the holiday while bringing the message of celebration, togetherness and hope. The new partnership is one of shared values – not only for art, but also, the deep rooted culture that both Wei and Panda Express share and continue to inspire during this holiday. Takeout pails, cups and kid’s meal containers offered at Panda Express locations nationwide will each be adorned with Wei’s uniquely festive and vibrant signature designs, from now through March 20. During this auspicious time, Panda Express also looks to extend its Chinese New Year festivities to Panda guests over delicious feasts. In honor of the long-standing practice of gifting hong bao (red envelopes) to loved ones, on Feb. 16 the restaurant will offer each guest a red envelope containing a coupon for a free serving of its celebratory 8 Treasure Chicken Breast entree, redeemable during a future visit, while supplies last. For more information on Panda Express and Chinese New Year customs, visit CelebrateCNY.com. For media inquiries, contact panda@havasformula.com. Follow Panda Express on Facebook, Twitter and Instagram, and join the conversation using #CelebrateCNY.